The visible element of your outfit is obviously your hat! Winter hat or summer hat, the fashion thing now rules its choice and everyone can have theirs...even you! But how to enter this stylish world? 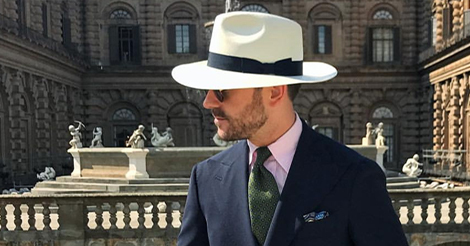 How to choose the hat that fits you best, the one that will make you stand out, the one that will sublime your look or contrast deliciously with your outfit? That "democratization" has nowadays made this accessory a very old and very popular one. If it was formerly associated to working classes, it is today more easily displayed according to the seasons. And although it is practical, the hat is now equated to style. 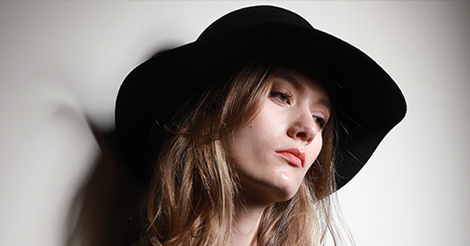 To find out your hat, you need to know the morphology of your face. Wearing your headwear must assure an aesthetic balance and harmony to your allure. If you want to know to which category your face belongs, here is a very simple technique: place yourself in front of a mirror and draw the contour of your sweet little face. If you have a square face, angular jaws and defined traits, you'll need to soften and round the contours. What you need is then a hat with a round shape and/or large brims. 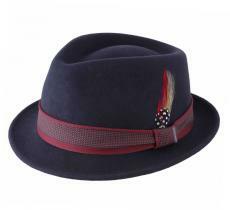 We suggest you the fedora, the bowler hat, the traveller, the trilby, the floppy hat or the cloche. These shapes will bring harmony to your style. On the other hand, avoid shapes that recall your face, in this case the Porkpie or the Player. If you have a lenghtened face and thin traits, try to choose shapes that balance the length with the volume; that will create a shorter face. For ladies, the floppy hat will be perfect. 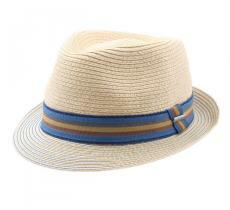 As for gentlemen, a fedora or a panama would be wise. 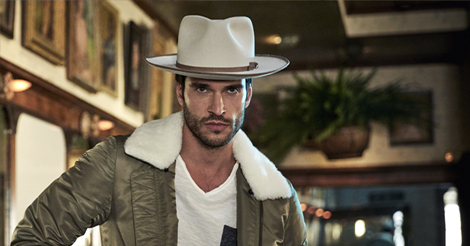 If you have a hearted-shape face, and narrow jaws, prefer hats with a round shape and short brims; the objective being not to hide or make your face disappear. We advise you to choose the player, the bowler hat, the cloche or the trilby. The floppy, the fedora, and top hats are to be banned. If you have a round face, you'll also need to harmonize the shapes by reducing the rounded side. Choose therefore the fedora, the trilby, the traveller or the top hat. 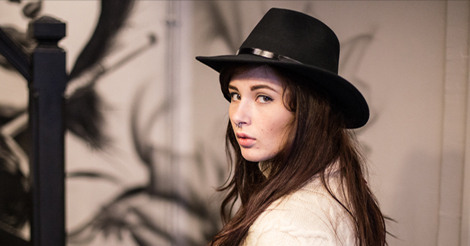 They are large-brimmed and/or turned-up brims hats that will highlight your traits. 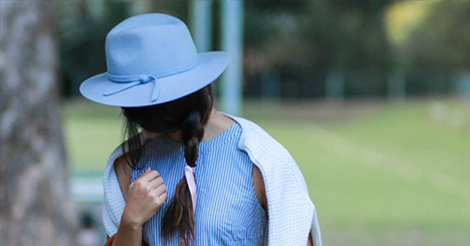 Avoid the bowler shape, the porkpie, the floppy hat and the cloche. If you have an oval face, how lucky you are! Your well balanced face shape can match all types of hats. A little tip however, prefer headwear with medium sized crown and do not hesitate to try them as much as necessary to choose the one that best fits you, according to your specifics: your nose, your eyes, yoir hair and even your personality. Keep in mind that everything is a matter of balance! The hat is an accessory with a very strong character. It instantly draws attention. So according to your type of activity, the place where you're heading to, choosing yours properly won't make you look unfashionable or disproportionate. Floppy, trilby and other straw hats will accompany you on your walks, to do shopping, and take full advantage of the sun. These models are fitting if you want to adopt a relaxed style and brighten your relaxing moments. As for the boater, this straw model will be perfect for your picnics on the water or on the grass. These hats, most of the time made of straw, can also be displayed in other lovely textiles. At any rate, for relaxed and somewhat sporty allures, you could even go a bit wild and crazy! For the work or small regular meetings, no need to bother yourself. 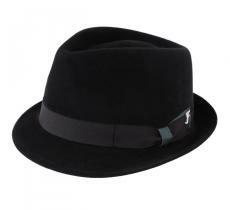 The ideal is therefore a headwear like the fedora, the trilby or the panama. You'll be elegant and seemly at once. 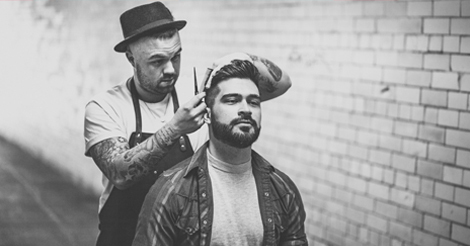 To stay relax and precise, these models will be on top of your game! As for the ladies, you can count on the beautiful floppy hat. If you feel like partying, you've planned some festivals, you want to stand out with your look and remain free to celebrate, choose the fun porkpie. It's both chic and casual. A boater and a floppy will also be fitting! Turn up the music! You've just received your invitation to a wedding or simply for a very posh evening, you've already got your outfit...or not yet, don't panic! 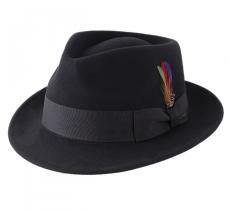 Seek a porkpie, a bowler, a top hat or a cloche. With just these luxury models, your outfit will be refined and ultra sophisticated. You'll be very distinguished. By the way, don't forget the rest of the apparel...! Your personality is rather rebellious or you are used to jostling the order, why not dare to contrast styles? Following are few illustrations of association of styles that you could test. The hat reveals more your personality, so do not hesitate to go out of the codes. Now you have no excuse any more! Following are two typical examples of a combination of contrasting styles. Improbable, these outfits will maybe shock you at first glance...but only because they ate not "standard". However, with hindsight, you'll notice that it's simply unique. On this first image, the improbable association of a bowler hat to this outfit instantly reveals a strong-character person with that extravagant touch of madness. We could say that such a look reflects that double desire to stay both free and chic; and that's a success...without even having to flirt with the disguise. On this one, the hat is also a very chic choice. It completes a casual outfit, perhaps ill-dressed. Yet, do see in it a desire to stand out while keeping an audacious and offhand look. Usually worn to stroll or to laze on the beach or under the sun in general, the boater can also be displayed in less casual occasions. You can combine it with your silk gown or even with your suit. You'll only gain originality! 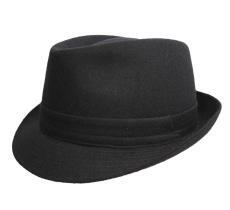 A fedora to go on a picnic? Why not? We do agree with that! Don't worry at all, a hat of this type can be associated with less formal outfits. You don't need to be always spruced up to wear it. 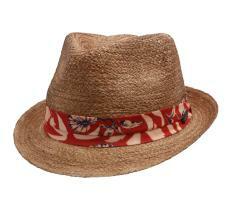 Still in bold styles, try a panama on an informal attire or a work gear. You risk to draw dumbstruck and inquisitive looks on you...And that is the goal! Keep in mind that the perfect hat is the one that you like! An Irish proverb says, "if you make a mistake in choosing your hat, make sure at least that it fits you". The last tip we can give you is to choose a hat under which you'll be at ease through its aspect, its suitability and its comfort as well. You must feel confident when you wear it. The hat has crossed the ages, and it is not about to stop. It is the ideal fashion accessory to show your style and protect you as well. With very multiple styles and endless designs, not to have your own hat is nowadays a true sacrilege! Of course, it is! 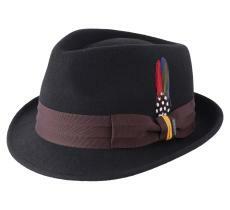 The hat reflects both your personality and your mood; yours will surely make you feel good...even in your mind!